Crazing is a universal problem in ceramics and pottery. There are a lot of band-aid solutions out there but the only way you will ever really deal with it is by understanding the simple cause. It is true, there is no universal solution. Nevertheless, in the majority of situations the problem can be completely solved by adjusting the chemistry of the glaze to reduce its thermal expansion without affecting other fired properties. Let's enumerate some of the changes you can make to a glaze recipe to deal with crazing. Remember, we can predict the effect of a change by calculating the thermal expansion (using a glaze chemistry software program like an account at insight-live.com). For each I will discuss its effectiveness at reducing thermal expansion based on a calculation I have done. Remember that a glaze that displays crazing needs major change, not fine tuning (even glazes with no visible crazing out of the kiln often need major change). I have found that fixing crazing usually requires a 0.5 reduction in the calculated crazing (using insight-live.com). That means if the glaze calculates to 7.0 thermal expansion, then I aim for 6.5. Adding silica: This works if the glaze can tolerate it and still melt as well and surface character is not affected. In fact it makes no sense not have have as much silica in a glaze as it will tolerate. However be aware that the amount of silica you may have to add may be a lot more than you think. For example, to move the 20x5 cone 6 transparent from 7.0 to 6.5 requires the addition of 17% silica. There is no way this could be tolerated and still maintain a good melt. Therefore it seems logical that silica additions alone are reserved for fine tuning thermal expansion, not solving crazing. Add a low expansion frit: Ferro Frit 3249 is a good example, its thermal expansion is around 4.0. However to move the 20x5 cone 6 transparent from 7.0 to 6.5 requires the addition of 21% of this frit. This amount amount of frit doubles the boron and cuts the silica, obviously a major change with many implications. Substitute a low expansion frit: Replacing the Frit 3134 with Frit 3249 causes a drastic change in the overall oxide balance in the recipe, however substituting half of the the frit takes the expansion down to 6.5. This is promising, we will come back to it in a moment. Use a higher expansion clay body (usually one with a higher quartz content). Of course, that means more dunting (cooling cracks) problems. For these solutions chemistry is needed to juggle the amounts of materials to achieve the desired oxide change. Add Al2O3: Like adding silica, it can change the surface character of the glaze. However even if you removed all of the silica and replaced it with kaolin this hardly moves the calculated thermal expansion of the 20x5 glaze. Add low expansion boron: Doubling the boron in the 20x5 recipe only takes the expansion down to 6.8, not much of a decrease. However increased boron will help to dissolve more silica and alumina (this will help to further reduce expansion, but not as much as we need). However a problem with this is that as boron rises the glaze can become milky, especially when there is plenty of SiO2 available. Substitute lower expansion CaO or SrO for high expansion Na2O and K2O: Removing half of the 0.2 molar equivalents of KNaO in the 20x5 recipe takes the expansion down to 6.4. This is a remarkably large change for a comparatively small formula change. However to achieve this required major surgery on the recipe, it will not likely melt nearly as well because the feldspar is gone, silica and wollastonite are much higher. Wollastonite just does not melt well at cone 6. Introduce low expansion Li2O at the expense of another flux: Adding more than 2% or so will change the recipes fired appearance and this does not reduce expansion by much. Introduce low expansion MgO: This is the jackpot! By replacing half of the KNaO with MgO the expansion drops to 6.15. This is incredible. However to accomplish this in the recipe using 5% talc (as an MgO source) requires removing the feldspar, increasing the kaolin by 10%, the silica by 8%. There is no way this is going to melt even though the chemistry says it should. What could we do? The answer is the MgO low expansion frit mentioned above. This frit sources all the oxides that are hard to find good melting suppliers for at cone 6 (CaO, MgO, Al2O3, SiO2) plus lots of boron. Although many of the above less dramatic strategies do not have a large individual reducing effect on glaze expansion, in combination it is true that they can add up. I have found that crazing glazes invariably have other deficiencies (e.g. too glossy, too matte, tendency to pinhole or blister, crystallize, cloud up, settle in the bucket, knife mark, dissolve in acids, etc). It is thus best to pick a strategy that reduces crazing and at the same time addresses other problems. For example if the glaze is melting very well and is glossy then it likely will tolerate more silica. Likewise, if the glaze is melting well but is too glossy, you can add alumina, it will help reduce expansion and gloss plus increase hardness. If a glaze is not melting quite well enough then the addition of boron will reduce expansion and melting temperature. If a glaze is settling in the bucket and melts well, it will likely tolerate both alumina and silica additions, that means you can increase kaolin and the glaze will suspend better. All of these will help, but I repeat that a crazing glaze needs major work, even a combination of these will not likely be enough to fix the problem. Almost all the crazing glazes I can remember had one thing in common: high sodium and potassium (from feldspar, nepheline syenite or frits). When you consider increasing sodium and potassium has up to 10 times the effect on expansion as does reducing silica, it only makes sense that replacing part of their content with a flux of the lowest possible expansion will have the maximum effect. Substituting MgO for KNaO imparts the maximum effect. However you could also substitute KNaO for a mixture of CaO, ZnO, Li2O, SrO also. There are some possible problem with increasing MgO in glaze recipes. First, MgO can contribute a different color response for some metal oxides. However I have not found this to be a big concern in most cases (except for the important exception of Chrome Tin pink colors, they do not like MgO). As noted, the main raw sources of MgO, talc and dolomite, are viable in high fire glazes but they do not melt well to release their oxides at lower temperatures (in addition both are rather gaseous and can contribute to glaze imperfections at lower temperatures). Frits like Fusion F69 or Ferro 3249 are the perfect solution for middle temperatures like cone 6. They release no gases to bubble, blister or pinhole the glaze like talc and dolomite and they melt much better. 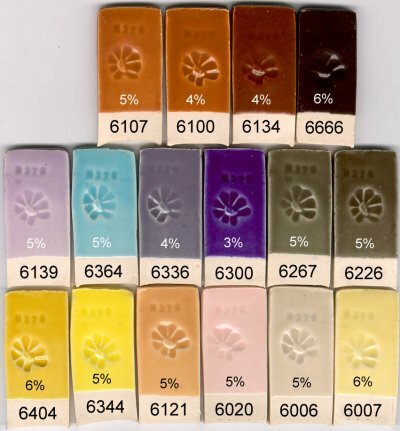 If your glaze already contains a material contributing boron (and almost all middle fire glazes do) these frits are ideal candidates to help you reduce thermal expansion dramatically. This glaze is an adjustment to improve the earlier 20x5 recipe G1214M (to give it better gloss and melting, less boron clouding). However this glaze does tend to craze on clay bodies having a lower quartz content. In addition, its CaO content is lower and so it does not work well with Chrome-Tin colors. The most successful strategy to reduce its thermal expansion was G1215N (before exploring the MgO frits), in it I killed the feldspar and substituted Na2O/K2O with a range of other fluxes (Li2O from Spodumene, ZnO and SrO). This fires to a very nice crystal clear glaze but the glaze slurry is not as nice to use (it foams and bubbles) and still crazes on some bodies. However the G1215U recipe was better. I was able to use less total frit content and maintain the chemistry of G1214W (other than substituting MgO for KNaO). Notice that the Na2O sourcing feldspar is actually higher (the frit 3134 is very high in Na2O, I eliminated it). Unfortunately, although this is a high calcia glaze, the MgO still prevents it from working with Chrome-Tin pink colors. But the exciting aspect of G1215U is the ease with which I reduced the thermal expansion. Infact, there is lots of room to move it further since there is still plenty of KNaO to remove and many of the other strategies mentioned above are also open. Infact, MgO works so well to reduce thermal expansion that you can actually create a glaze at cone 7 that will not craze on a porcelain having zero silica content! Imagine, a quartz-free working environment. Although MgO does not melt as well at middle temperature we have found that diversifying the fluxes, adding a little zinc or lithium, and increasing the boron a little will make room for as much MgO as you will need. The moral of the story is that in serious cases of crazing the magic oxide is MgO, increasing at at the expense of K2O and Na2O will dramatically reduce the expansion. 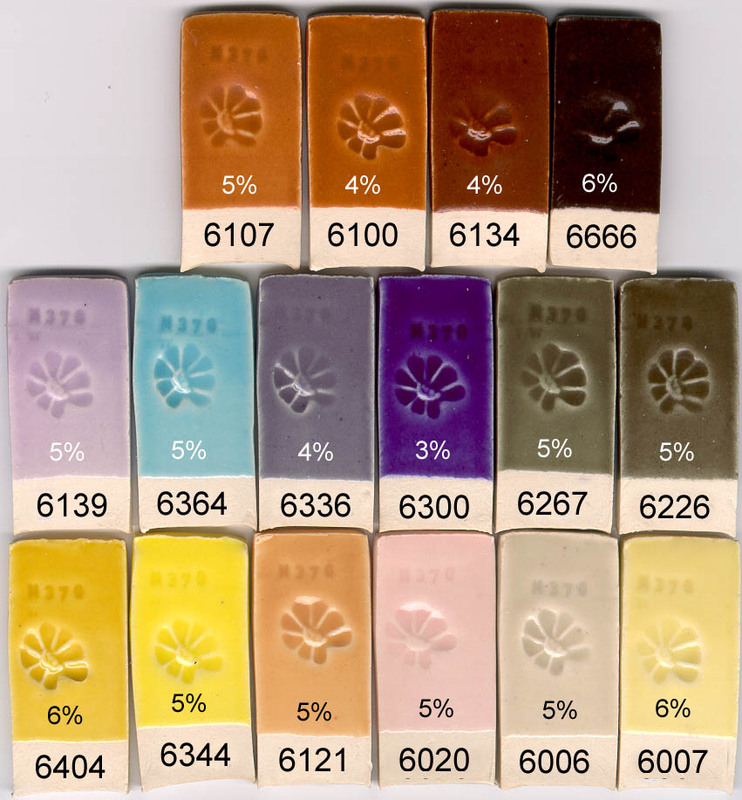 Further, you need to be able to do ceramic calculations to intelligently bring an MgO frit into your glazes without upsetting the fired properties too much. Can you make G1215U using common frits or raw materials to source MgO? Not easily. The magic of high magnesia frits is that they melt so much better than raw materials that source it and do it without any gas release. To demonstrate this I mixed G1215W (not the same as G1214W mentioned above), it has the same chemistry using the recipe 33 EPK Kaolin, 32 Silica, 5 Whiting, 24 Frit 3134 and 7 Talc. This does not melt nearly as well and it is full of bubbles. 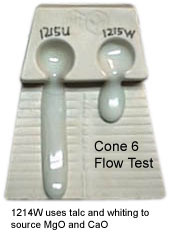 I have not discussed durability issues here and trust that you can do simple leaching tests. If you find that some colors leach there should be plenty of options to retain the expansion and adapt the chemistry in the direction of more stability. Cone 6 porcelains are the most prone to crazing because they have lower quartz contents (more flux is needed to mature them). This glaze was originally intended for use on porcelains for this reason. If you use this glaze on stoneware beware of the possibility of shivering and weakening of the ability of the ware to resist cracking against sudden increases in temperature (especially when this glaze is employed on the insides of forms. Need Super Low Thermal Expansion? Using your account at insight-live.com you can reduce the thermal expansion of this glaze much lower than it already is, even low enough to work on an alumina porcelain. Contact us for more information. We are altering this recipe a little to reduce the MgO content somewhat and increase the B2O3 a little (the result is G1216L). This is being done to reduce its tendency to move toward a silky magnesia matte at times, a product of the high MgO. We are suspicious of a change in the Frit 3249 as a partial cause. We have also found a way to remove the expensive frit 3249!